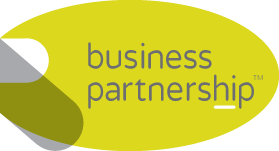 Selling a business in Newark-on-Trent, talk to your local expert. We can sell your business. If you are selling a business in Newark-on-Trent, we can help. We bring years of professional expertise to ensure you get the very best value. We provide straightforward advice based upon our years of knowledge and experience of all aspects of selling businesses around Newark-on-Trent. We help our clients who, just like you, want to achieve the best outcome when they sell their business. Located between the A1 and M1, on the East Coast Mainline, Newark-on-Trent is strategically located and very well connected to major UK markets. In conjunction with Sherwood, Newark is home to more than 8,000 businesses and has major strengths in the data management, logistics and environmental industries. Newark is an attractive and thriving town that continues to attract investment and innovative businesses to the area. Beautiful Long Established Cafe In Outstanding North East Derbyshire Town Centre Location. Beautiful Tea Rooms & Cafe In Stunning Peak District Market Town Centre Location. Reduced Price - Beautiful, Thriving Vegetarian Cafe & Coffee Shop In Superb Chesterfield Town Centre Location. Derby, Nottingham, Burton on Trent, Ilkeston, Heanor, Uttoxeter, Belper, Ashbourne, Newark on Trent, Long Eaton.